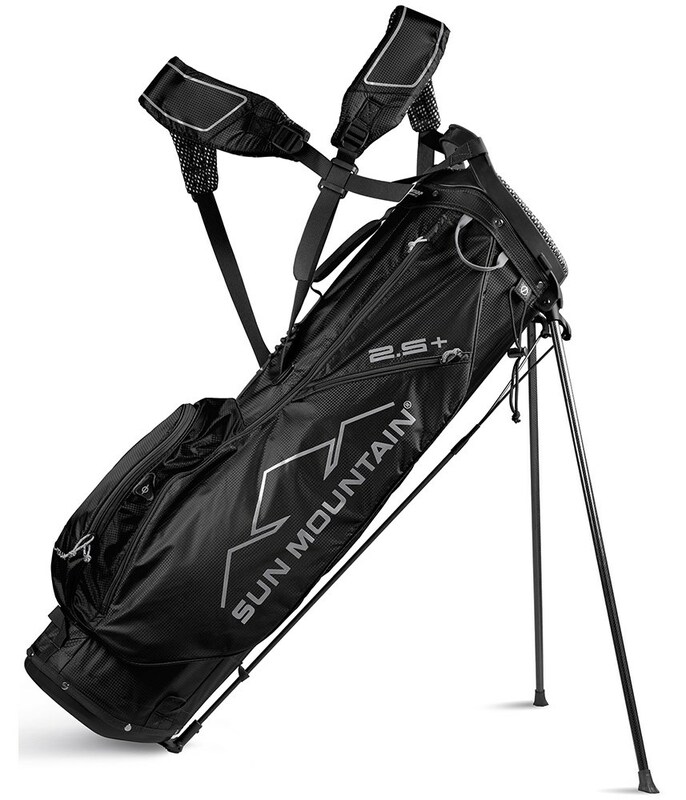 The Sun Mountain Two5 Plus stand bag features an ultra-lightweight construction that will benefit you if you tend to carry the golf bag. 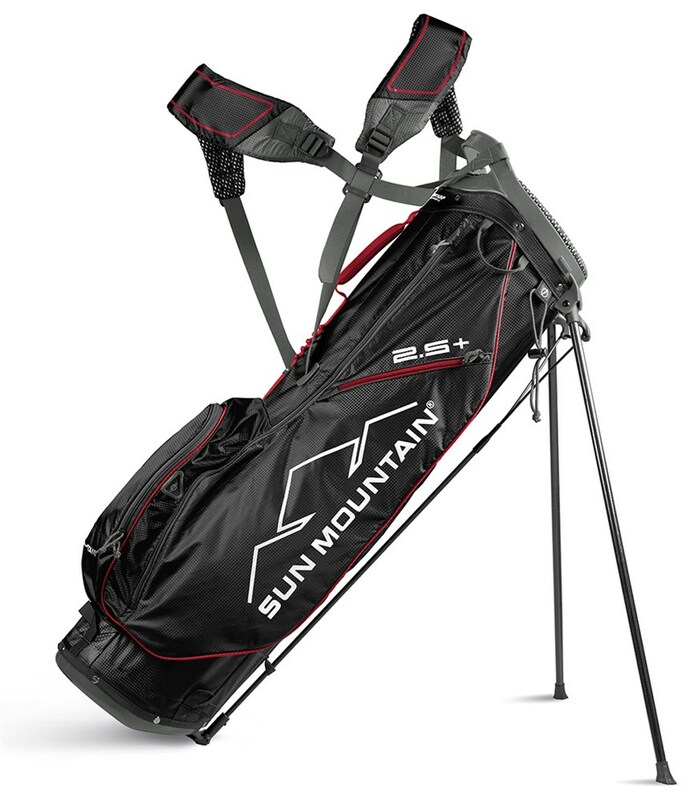 Sun Mountain have used an incredibly lightweight and durable fabric as well as as a carbon fibre legs to reduce the overall weight of the stand bag. 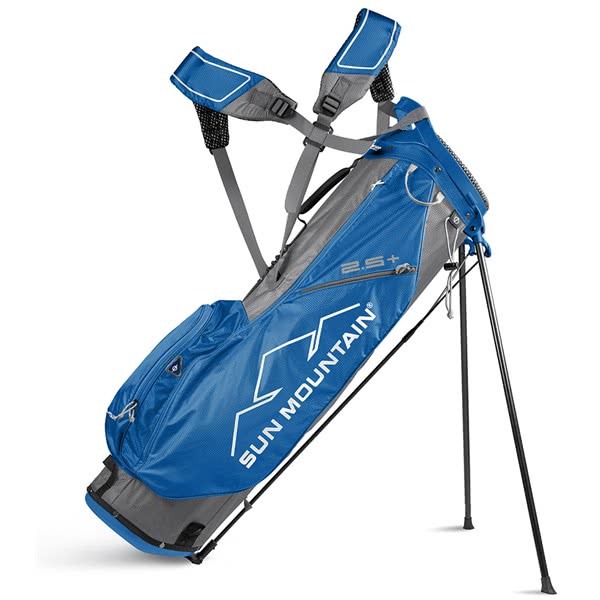 On top you get a 4-way, full-length divider top that will comfortably carry a full set of golf clubs, integrated into the top cuff design is a grab handle that will make lifting and lowering much easier. 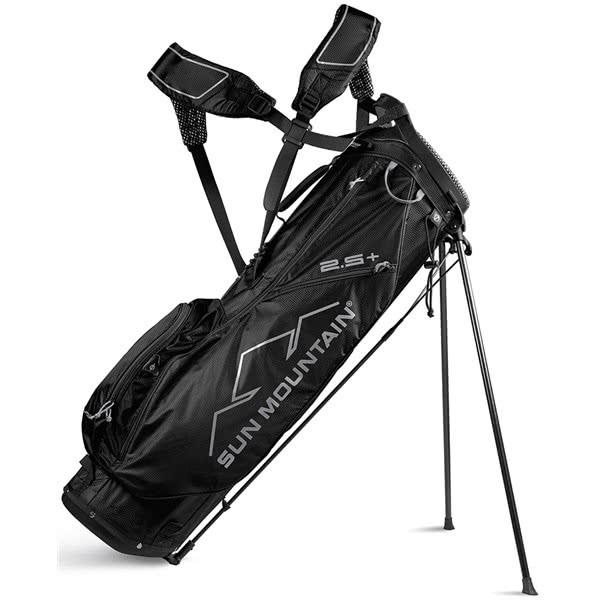 To deliver maximum carrying comfort and balance their X-Strap dual strap system has been used. 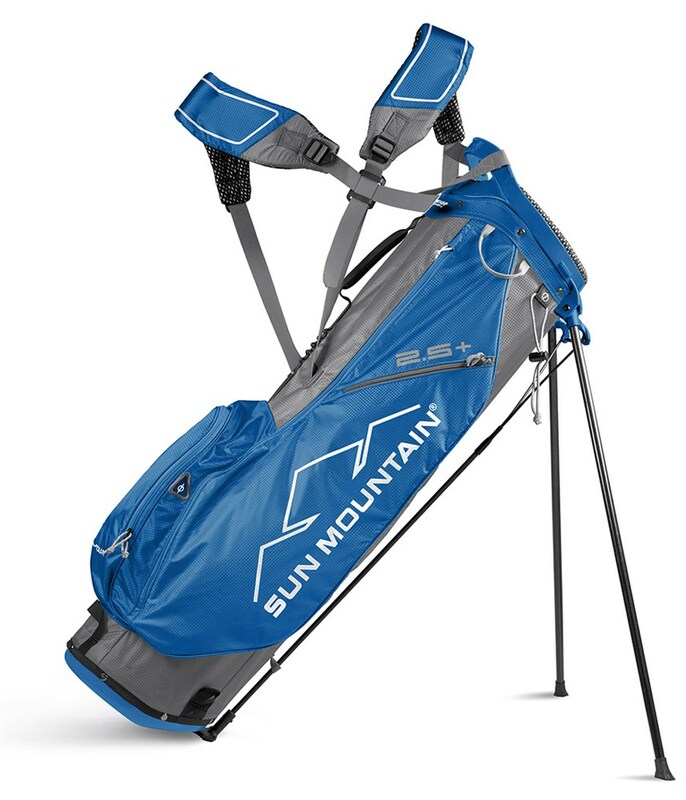 Their X-Strap system features a high density foam that will help comfortably sit on your shoulders and spread the weight if the bag. Five pockets including a full-length apparel pocket, a lined valuables pocket and two smaller pockets provide ample room for all you need to carry around for 18 holes. A beverage pouch is super handy if you want to remain hydrated.